Full brick, LVL15 rafters, timber ply braced horizontal wall restraint and polished concrete stiffened raft slab. Steelwork was limited to steel brick lintels making for a surprisingly simple and economic build. _"Twelve kilometres from the Sydney CBD, Bardwell Park is a quintessential suburb of modest red-brick and tile bungalows. Most of Sydney bypasses Bardwell Park, travelling below through the M5 Motorway. 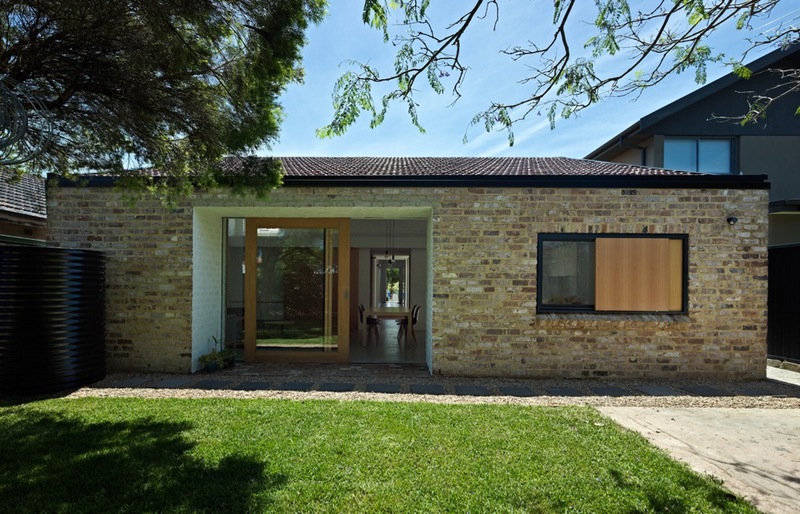 Architecture, too, has largely bypassed this area, but in this unique instance has offered a new life to an ordinary bungalow. Tribe Studio has added an exquisite skillion roof pavilion of such elegant simplicity that its dimensions appear much more generous than they actually are. 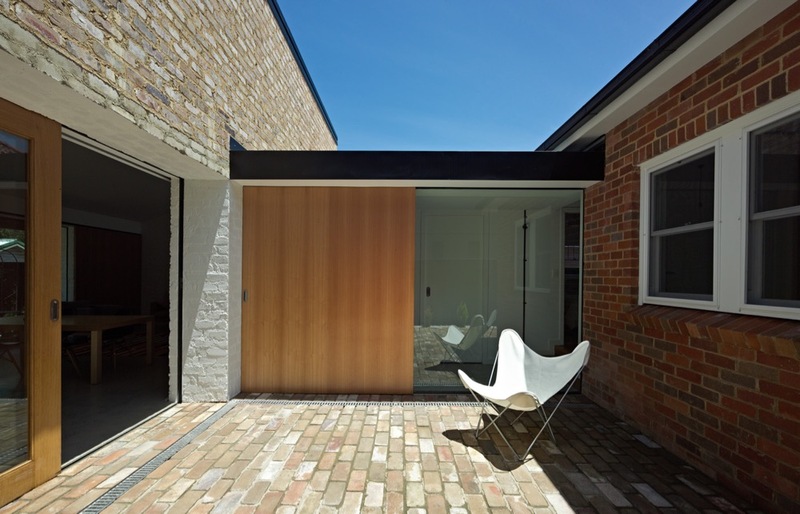 Separated from the main house by a room-sized courtyard to the north, the addition is built of recycled brick saved by the owners, roughly laid and internally painted in white. 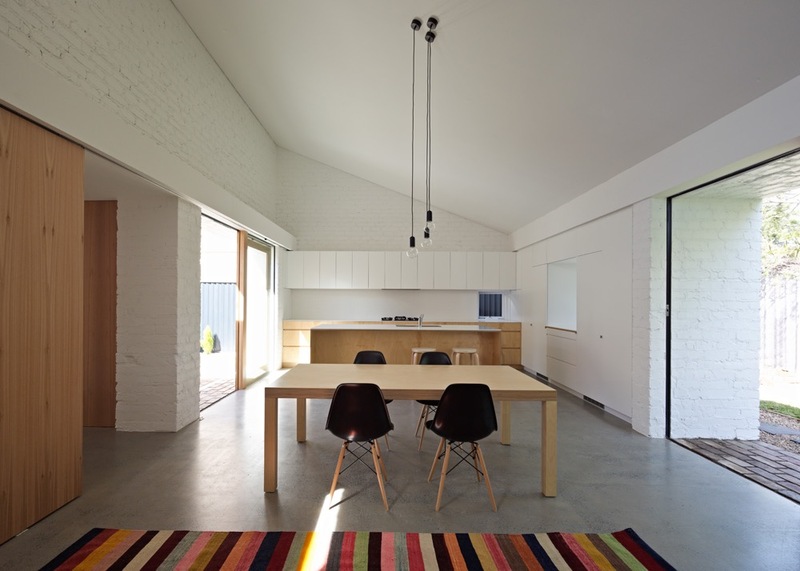 Its rusticity and abstract vernacular form recalls Aalto or the villages of the Greek islands. There is admirable balance between material textures and smooth planes. 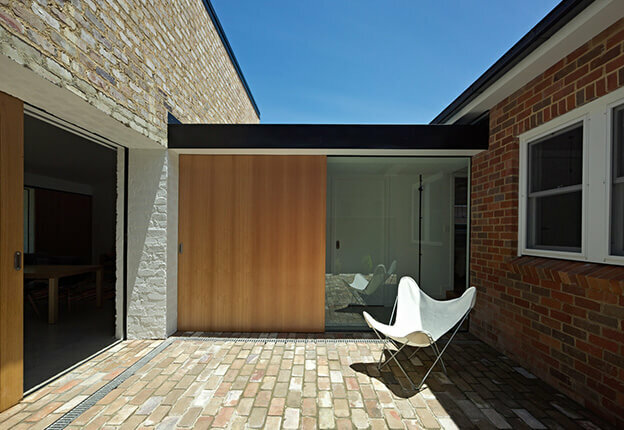 Clever use of large sliding timber doors conceals toys, controls sunlight penetration and directs views externally or back to the original house. Judicious planning and reworking of the original bungalow has rewarded the owners with an en suite that unexpectedly opens to its own courtyard with outdoor shower and adds to the playful or holiday atmosphere.